An Iron-on, double sided, adhesive web for bonding almost all fabrics, raffia, cardboard and, at lower temperatures also for leather. 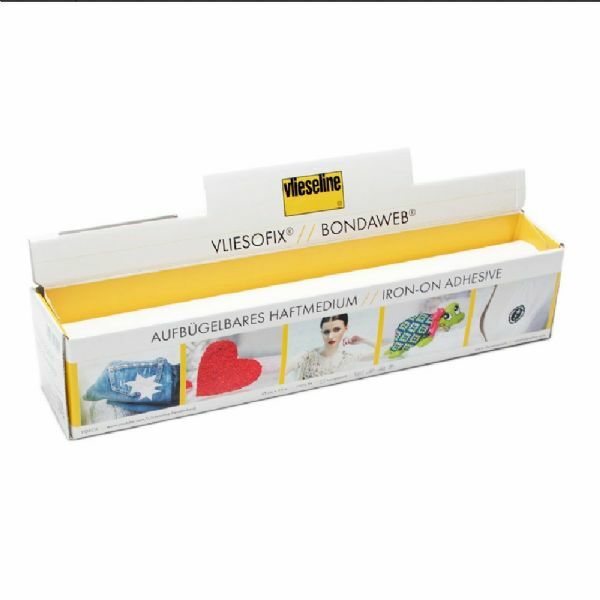 Ideal for appliqués and textile handicrafts in all forms and colours as well as for repairs.The Bondaweb is supported on a paper carrier which carries the web while drawing as well as ironing. Different materials and fabrics can be fused together by ironing, very easily. Bondaweb can also be painted or used with foils in mixed media techniques.Washing instructions:Machine washable at 60 degrees. Dry Cleanable.